Spring started well with the launch of many of our winter projects and a visit from one of our longest standing UK clients, Andrew Craig, pictured above on Schnebley Hill Road. Andrew and wife Denise loved Sedona and were appreciative of why Studio 5 chose this magical place to relocate to. A number of new websites have been completed and launched as you'll see below, an interesting variety in terms of the websites various functions and the clients' business too. A number of other web development projects are also underway, additional phases for current websites as well as new e-commerce websites including digital downloads for MP3 files and adoption of the new automated email newsletter feature with additional facilities for promotion of new products. As a bonus for completing a website for local Sedona artist 'LaWrence' we now have a fantastic painting in the office reception featuring the Studio 5 web design team. A new website and content management system was developed from the ground up for the Humane Society of Sedona. The system integrates with the client's in house database to maintain the pet register simultaneously without duplication of effort. At the same time the CMS allows enhanced profiles for the animals offering the visitors more information, images and video where available. The development is ongoing with further elements being introduced to the site and the stem itself in a number of phases. This staggered development allows the website itself to go live quicker with the essential elements while further features are added as they become available. Further development of the ISTA website which launched at the beginning of the year includes a host of additional features in content management system. Management of FaceBook comments within the pages by using FaceBook login information for the administrators allows each to monitor and moderate their events. In addition and perhaps the most exciting development is an automated newsletter, which selects up coming events and most recent news items from the database and generates an automated monthly email newsletter to the thousands of members across the globe, keeping them up to date with important news automatically and of course bringing them to the website for further information. A web design project for a local Bed and Breakfast in Sedona was far from 'prickly' and the clients are as delightful as the name of their establishment suggests. The site uses a third party online booking/reservation system and is supported by area information will be promoted with our SEO (search engine optimization) and SMM (social media management) to enhance the traffic flow. A new web design project for a local Realtor in Sedona and the Verde Valley area. The site currently uses the FLEX MLS system for property listings. Most importantly a RWD mobile friendly version of the website is available, a critical element for real estate websites. Area information will be promoted with our SEO (search engine optimization) and SMM (social media management) to enhance the traffic flow. Integration of an IDX MLS system is being investigated for its equity value. 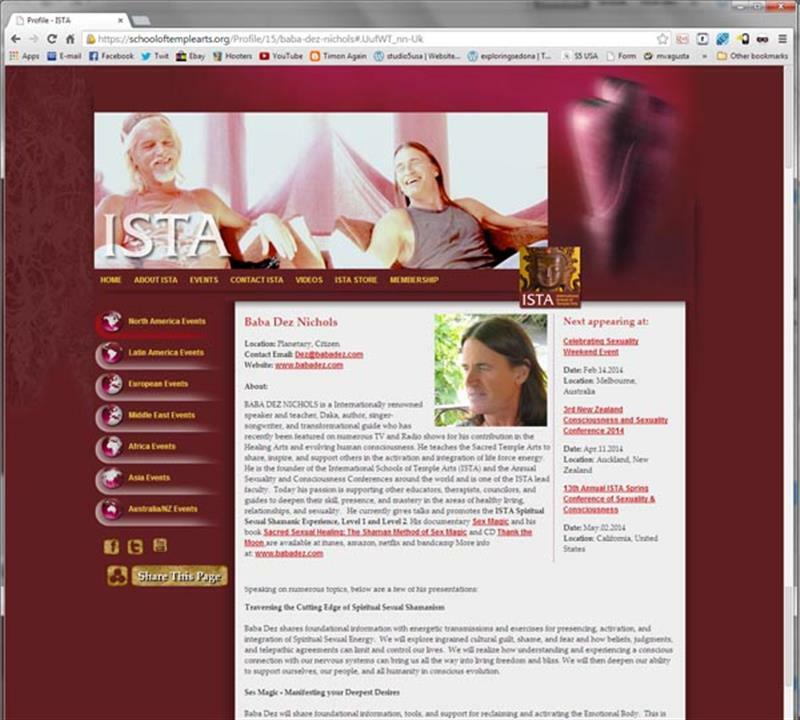 This Sedona web design project was completed in just a few weeks for a local massage and hair studio. The site will be promoted online with our SEO (search engine optimization) and SMM (social media management) to enhance traffic and promote the studio in general in a targeted campaign for local business. Just weeks after its launch results are already coming through. A website design and content management system for a new book by renowned author David Herzog. Exploring the latest cutting-edge discoveries in natural, raw, and organic health - David Herzog gives you practical and natural solutions to some of your greatest health needs. The CMS allows the client to update news and press release items as well as broadcast events while collecting data on visitors who sign up for free excerpts from the book itself. 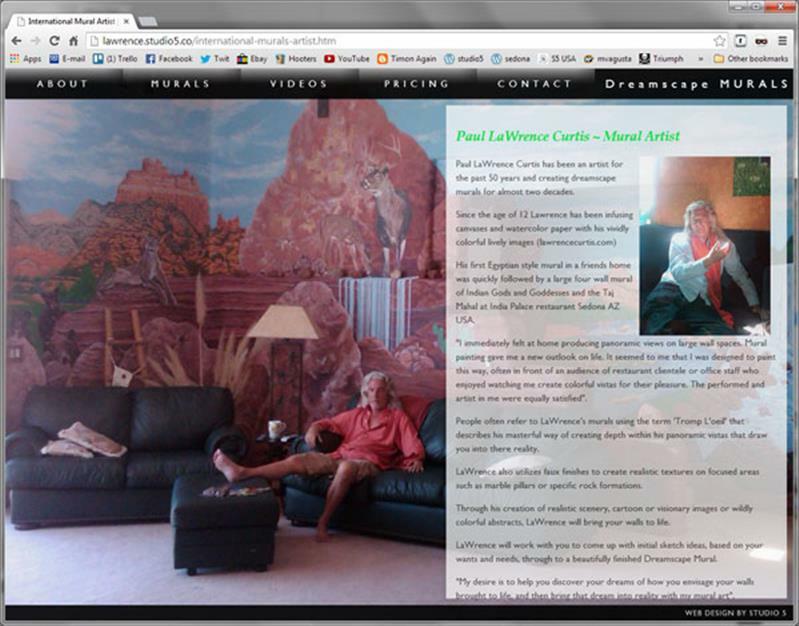 This web design project for artist Paul LaWrence Curtis, formerly from Barnsley in the north of England where. The website displays LaWrence’s mural work, including work in both residential and commercial premises and particularly restaurants. 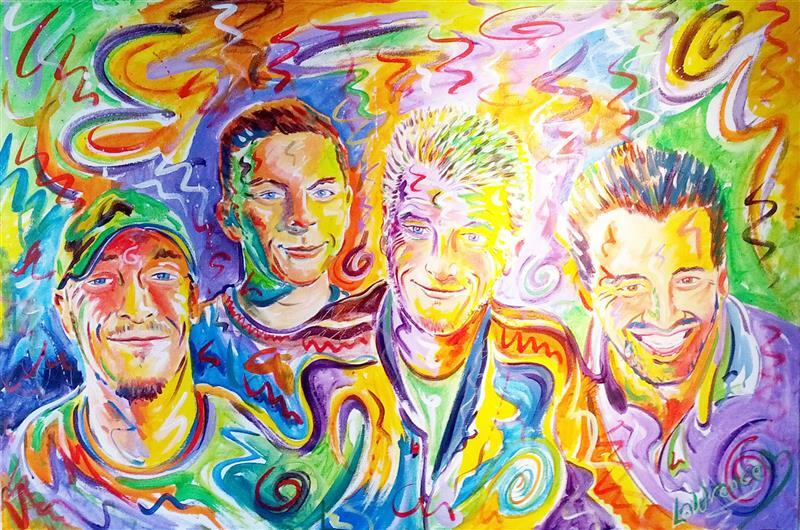 In addition to mural painting, LaWrence’s talents also extend to portraiture and other art. LaWrence also created a painting of our own Studio 5 web design team which now hangs in reception at the Sedona office and heads up the Studio 5 USA facebook page.